There is a prevalence of overuse injuries and fractures, ailments are magnified in this intricate area. With the addition and dependency of electronic devices, everyone is in need of a therapeutic treatment. Repetitive and overuse of electronic devices clearly affect everyone, even if they don’t know it. Muscle imbalances and premature wear-and-tear of the joints, possibly leading to nerve compression. Bring awareness to unknown potential conditions before it becomes problematic. This can be treated optimally with Orthopedic Massage. OM Therapists excel at providing a specific protocol to best target the muscle belly, the tendon and musculotendinous junction. Get results by providing uplifting and preventative care with OM techniques. What you accomplish and acquire from taking this course? One course closer to completing your Advanced OM Certification. Receive a certificate of completion for taking this course. Upgrade your skills and receive your CEC. Widely recognized hands on expertise. All professional massage therapists can benefit and are welcome. No prerequisites required. Massage therapy students and recent graduates will enhance their skills and are welcome. 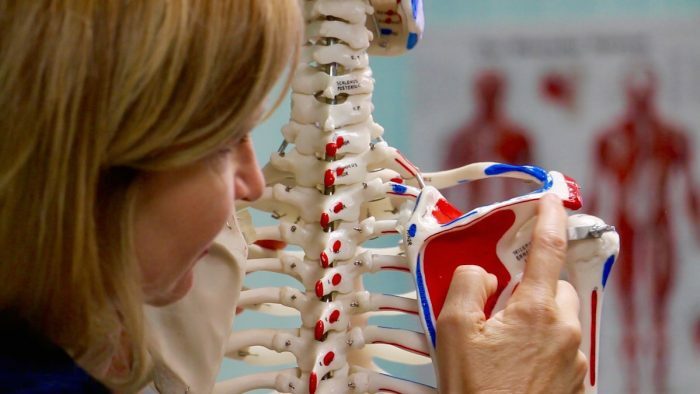 Become an Advanced Orthopedic Massage Therapist by signing up for the series! Rise above to provide the best treatment your clients crave. Provide the corrective care that brings recovery. This is muscle therapy that will raise your practice to the next level.